Michigan Neurology & Spine Center is made up of a team of professionals dedicated to providing the best quality healthcare in a responsive and caring environment. We have a very comprehensive practice designed to provide you with options for your treatment without having to go outside of our facility.Our providers all have years of experience in their respective professions. They work in concert with other healthcare professionals and office staff who try to understand your health issues quickly and apply the right treatment to get you back to your optimal health. We specialize in treating a wide range of neurological disorders and also provide pain management services right in our office. From neurodiagnostic testing and fluoroscopic and ultrasound guided procedures to psychological counseling to physical therapy. We have it all available for you right in our facility. Dr. Marwan Shuayto, M.D. is a Board Certified Neurologist who treats all types of neurological disorders including strokes, seizure disorders, dementias, dizziness, head pain, head injuries, Parkinson's disease, Alzheimer's disease, Multiple Sclerosis, Guillian-Barre Syndrome and many other types of neurological conditions. He also treats chronic pain conditions including head, neck and back pain, chronic migraines, chronic joint pain, reflex sympathetic dystrophy, post-herpetic neuralgia, and many other pain conditions. We have highly skilled neurodiagnostic technicians that perform all of the neurodiagnostic testing here in our own facility, including EEG, NCS/EMG, ENG, VEP, BAEP, and VAT. Our pain management division includes highly skilled radiological technicians. Our staff performs injections under ultrasound or fluoroscopic guidance right here in our facility. Our treatment of chronic pain is successful because of our philosophy of using multiple modalities of treatments, including intervention injections, physical therapy, and psychological counselling, and relying less on chronic pain medications. Chronic pain has been proven to worsen mood, and mood disorders have been proven to worsen pain. In a high percentage of patients, this unfortunately leads to a vicious cycle of worsening symptoms. Our clinical psychology division offers specialized counselling to help cope with these chronic conditions. Our Physical Therapy suite is a state of the art equipped treatment area, staffed with a physical therapist and physical therapy assistance with 36 years of combined experience. Our physical therapist has a doctorate degree in physical therapy and post graduate training in vestibular rehabilitation. Our physical therapy assistant is also a licensed massage therapist. We do accept appointments for massage therapy as well as physical therapy. Our PT department staff is highly trained in treating spine and joint pain, gait disorders, stroke rehab, vestibular rehab, and many other conditions. It is this multiple treatment modalities that make Michigan Neurology & Spine Center unique and more successful in treating its patients. Dr. M. Shuayto M. D.
Dr. Shuayto is a Board Certified Neurologist with extensive post graduate training in Pain Management. He is the president and founder of Michigan Neurology & Spine Center, offering patients Neurological and chronic pain treatment, psychological counseling, and complete physical therapy. Dr. Shuayto completed his internship in Internal Medicine and residency in Neurology at University of South Alabama Hospitals in 2007 and has been practicing in Port Huron since then. His post-graduate training includes intensive training in chronic spine and head pain. Dr. Shuayto is one of only 8 physicians nationwide certified in Omega nerve stimulator implants, used to treat patients with chronic head and neck pain. 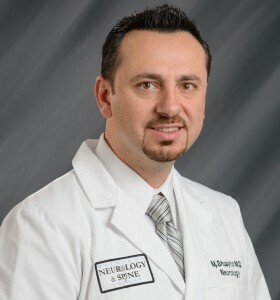 Due to his continued dedication to the field of Neurology and Pain Management, Dr. Shuayto was recognized in 2014 as Top Neurologist and Pain Management Physician in Michigan by Leading Physicians of the World Organization. He is a member of multiple Medical, Neurological and Pain Management organizations. Dr. Shuayto's philosophy has always been, and will always be, to treat each patient like a family member. This philosophy is what makes Michigan Neurology & Spine Center a specialty clinic with a family atmosphere. Patrick was born and raised in Warren Michigan and is a 1985 graduate of Warren Lincoln High School. He joined the Air Force in March of 1986 and served for twenty-two years before retiring in 2008. 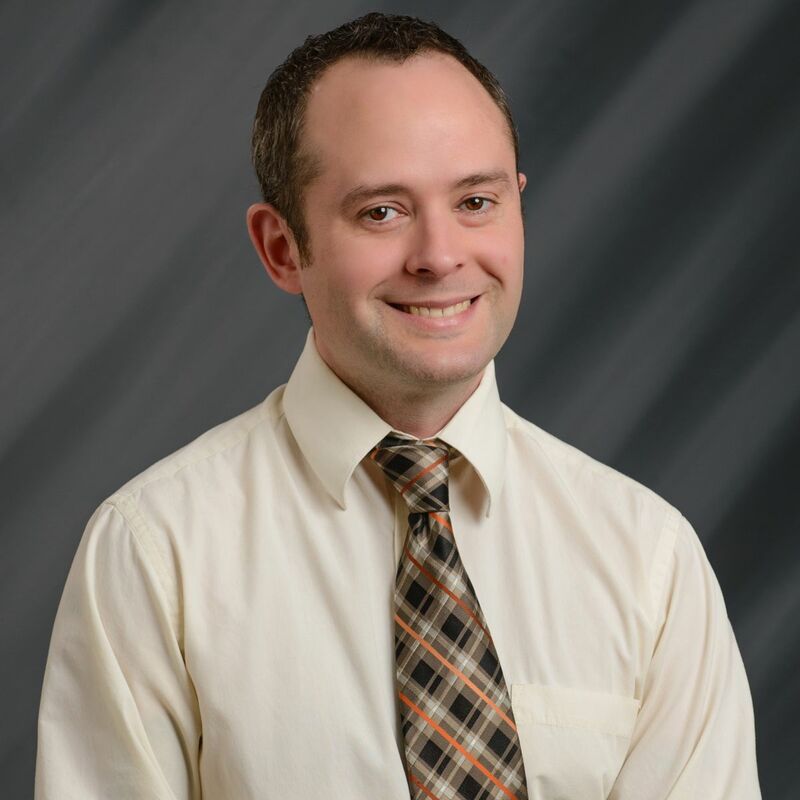 Patrick has a Bachelor of Science in Physician Assistant Studies and a Master of Family Medicine, both from the University of Nebraska Medical Center. He has been a practicing certified physician assistant since 2002, and has completed extensive training in ultrasound guided joint injections. Janette graduated from Macomb Community College with an Associate of Applied Science degree in nursing. Following graduation she went to work in a surgical/trauma intensive care unit at St. John Hospital in Detroit. She soon went back to school and earned her Bachelor of Science in Nursing degree and Master of Science in Nursing degree from Wayne State University. While attending, she received recognition for outstanding scholastic achievement through the Golden Key National Honor Society. Janette was also the recipient of the Professional Nurse Traineeship award at Wayne State University College of Nursing in 1994. She graduated with honors in 1998 and became a board certified Acute Care Nurse Practitioner in 2000. Janette has worked in a variety of settings such as cardiology and neurosurgery for St. John Health System as well as private practice. 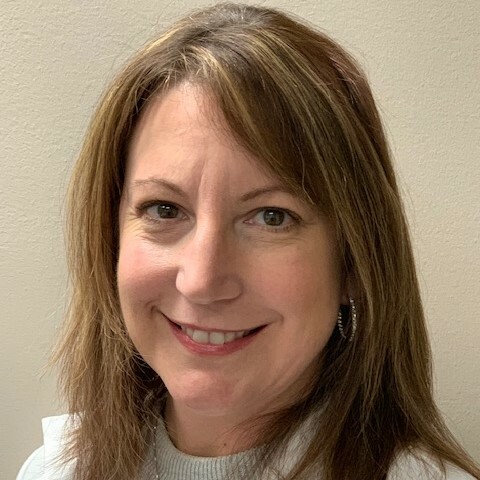 She has experience in community health for Henry Ford Health System and has served as a medical-surgical clinical instructor at Macomb Community College. Janette is committed to serving patients using evidence based practice and treating all patients like family. Mr. Kocenda is a native of metro Detroit. He spent over 13 years in providing emergency medical response services and municipal service to the community. He then earned his nursing degree from Walsh University in North Canton, OH. After completing his Nursing degree, he became a graduate assistant at Walsh University in the Nursing department. While a graduate assistant, he was also a member of the inaugural class of the Family Nurse Practitioner program. The program is a new joint program between Walsh and the Cleveland Clinic- AGMC that placed Nurse Practitioners in a position to receive the highest quality training from one of the world’s best hospital systems and a top five Ohio Nursing program together. The Nurse Practitioner residency program is the first of its kind. This program gave Mr. Kocenda access to world-class training which now comes to the residents of Port Huron and the surrounding areas. 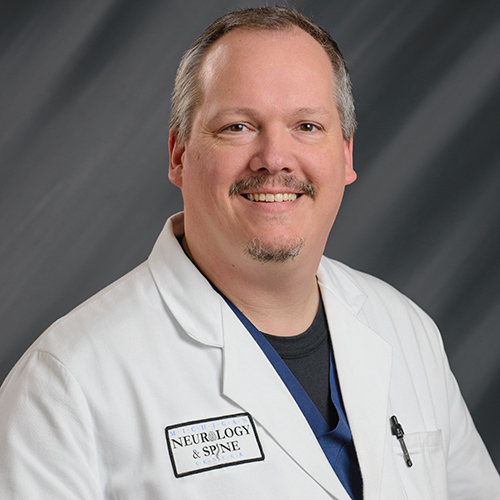 Mr. Kocenda has specialized in Physical & Rehabilitative medicine (PM&R) and pain management while working with one of the Cleveland Clinic’s premier spine and pain programs, the Spine and Pain Institute (SPI). While at SPI, he trained with physical & rehabilitative medicine physicians, interventional pain management physicians and Chiropractic experts to manage non-surgical musculoskeletal injuries and disorders as well as interventional and non-interventional pain management. As a victim of a traumatic injury in the past himself, Mr. Kocenda knows firsthand the struggles of long-term pain and rehabilitation. He has committed his life to providing patients recovering from injury or pain the care they need. 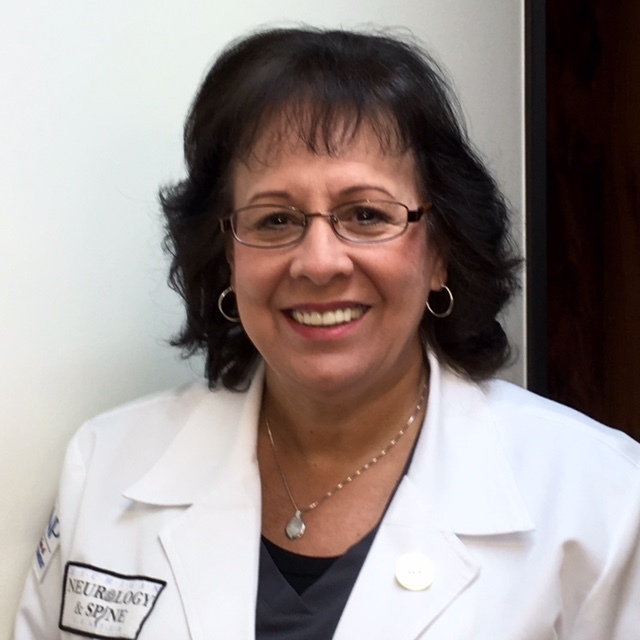 Carol began her career in the medical field in 1997 where she found her passion for nursing. In 2003 she earned her Associates of Nursing degree from St. Clair County Community College. As a registered nurse, she gained valuable experience working in several facets of the profession while serving at Henry Ford Macomb Hospital before returning to school to earn her bachelor’s in nursing. Continuing her education, she earned her Family Nurse Practitioner degree from Chamberlain College of Nursing. She continues to attend additional education programs and work full time while maintaining a family life with her husband and two children. Carol worked as a home care case manager where she gained valuable perspective from the patient’s point of view in their own home, as well as managing diverse needs, diagnosis’s, and treatments. Carol proudly graduated with honors as a member of Sigma Theta Tau Honors Society. Carol has more than 14 years combined nursing and nurse practitioner experience. Dr. Devin South is a licensed Clinical Psychologist in the state of Michigan. He completed his doctorate degree at Argosy University Chicago with a concentration in Health Psychology. He completed his internship with the Miami VA Health Care System with a specialization in Behavioral Medicine. His training included rotations in Primary Care consultation, Post Traumatic Stress Disorder treatment, Rehabilitation Services, and Pain Management. His post-doctoral work was completed at Southwestern University in Georgetown, Texas. Dr. South provides services for both individuals and couples, and has experience working with a wide range of psychological concerns including depression, anxiety, anger management, post-traumatic stress disorder, management of pain, and adjustment to illness. Angela is a 2003 graduate of the University of Michigan – Flint, where she earned her Bachelor of Health Sciences degree, graduating with high honors. She was then accepted into the physical therapy program, and received her Doctor of Physical Therapy degree in 2005. As a student in the physical therapy program, Angela completed research in balance deficits following chronic ankle sprains. She was also involved in producing home exercise videos for patients with traumatic brain injuries, dementia, and cerebrovascular accidents. 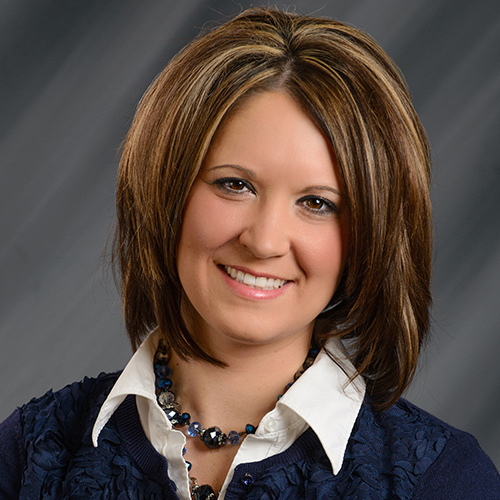 Angela completed clinical education at HealthQuest Physical Therapy in Romeo, MI and locally at Port Huron Hospital. After graduating, Angela took a position as a staff physical therapist at Theramax Physical Therapy in Shelby Township, MI. As a lifelong resident of St. Clair County, she quickly realized she wanted to work closer to home and was offered a position at Port Huron Hospital Physical Therapy in Marysville. 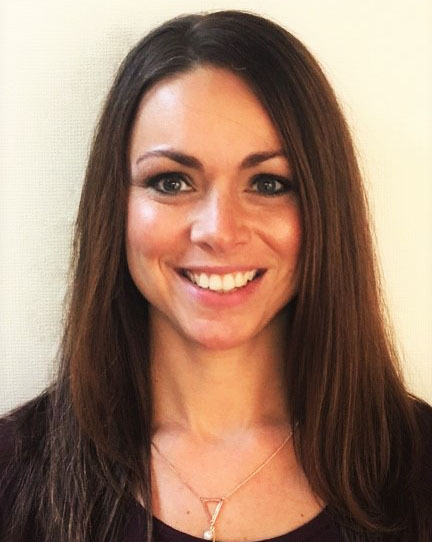 As a therapist there, Angela developed a love for manual therapy and began attending University of St. Augustine continuing education courses to refine her skills in this specialized area of treatment. She also performed biomechanical assessments for foot orthotics and aquatic therapy. After seven years at Port Huron Hospital Physical Therapy in Marysville, Angela decided to take a new career path as Director of Physical Therapy at Michigan Neurology and Spine Center. She has recently advanced her skills in Vestibular Rehabilitation, as well as other neurologic disorders such as Multiple Sclerosis and Parkinson’s Disease, and plans to continue to develop her skills and knowledge in other neurologic specialties. 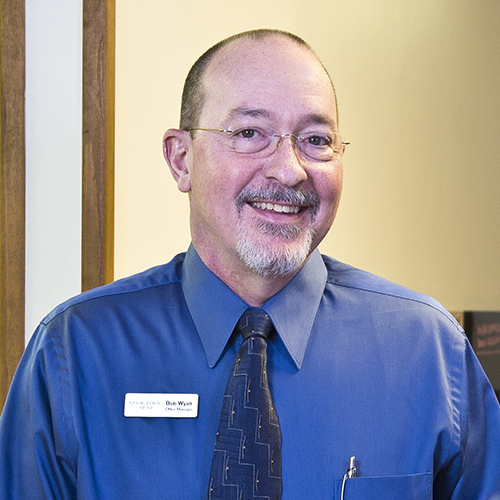 Bob attended St Clair County Community College before continuing his education at Olivet College majoring in Business Administration. Shortly after finishing his college education, he became a licensed Paramedic and worked for Tri-Hospital EMS for the next 23 years. Bob was promoted to the position of Supervisor where his responsibilities included general oversight of operations at scenes of emergencies as well as some human resource oversight and policy and procedure compliance. A short time later, he was promoted to Operations Manager and then eventually became the General Manager, giving him extensive managerial experience. He also worked part-time at St Joseph Mercy Hospital Emergency Department for 26 years. He joined Dr. Shuayto in 2009 and currently holds the position of Practice Manager for Michigan Neurology & Spine Center.